With the words Expecto Patronum, a silver doe appeared. 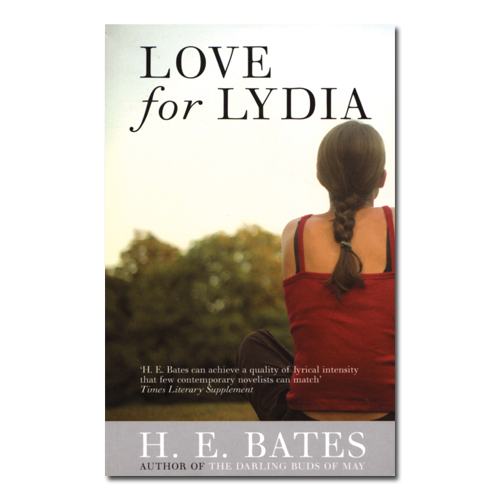 An enduring love we did not expect. We read, then watched, as only he could portray the man who uttered that most feared killing curse, Avada Kedavra. In utter disbelief I read and re-read the words, a baby in my arms, as Professor Dumbledore fell to his death. We cursed and wept. We believed the worst. He had betrayed. 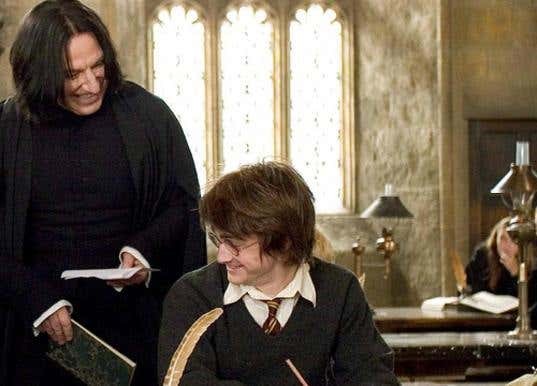 I could solemnly swear Jo wrote Severus Snape for you. You made him tangible. 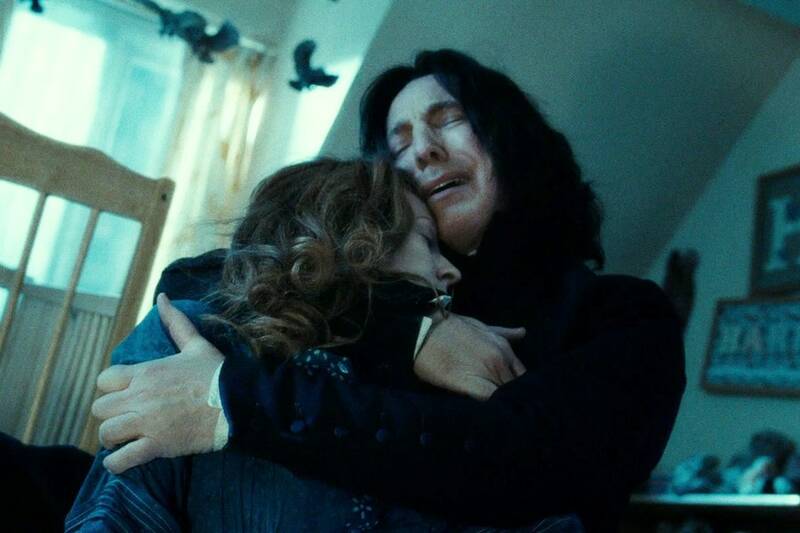 Severus Snape you are and always will be the wizard we did not understand. We feared for the young wizard when you fixed him with that look, a sneer curling at the edge of your lips. Potions master you were, but Defense Against the Dark arts you craved. The one who irritated us and yet, the one who tugged at our heartstrings when you stared at Lilly Potter with such adoration. We knew you were not done. 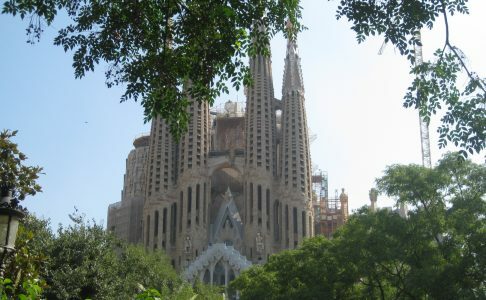 You are unparalleled. We Muggles honor the man who played you in eight films. Who brought you to life so beautifully honed and crafted, as you battled your darkness and fought valiantly for light. He was the man who played the Sheriff of Nottingham in one my favorite versions of Robin Hood, with Kevin Costner and Morgan Freeman. Despicably evil and brilliant. He truly was the lead. I adored him in Love Actually opposite Emma Thompson. For his humanity and his weakness. In Michael Collins and the Gambit with Colin Firth – his versatility so perfect. Reunited with Emma Thompson in Sense and Sensibility, a perfect colonel Brandon, a film on my list to watch over and over. They starred together again in 2010, in the Song of Lunch. He was as good as bad could be as ‘Hans Grub’ in Die Hard. The very dark Sweeney Todd with Johhny Depp was marvelous, and that oh so recognizable voice as Absolem the blue caterpillar, in Alice in Wonderland and Through the Looking Glass out this year. Yet another wonderful role for this perfectly trained actor. He directed a beautiful period drama ‘A Little Chaos’ – I have not seen, but you can be certain I will. 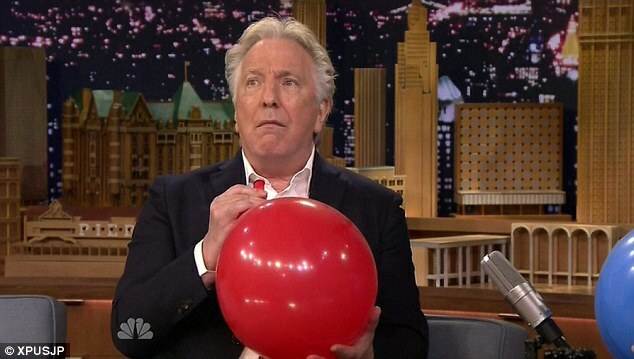 If you have time, try to catch a snippet of Alan Rickman on Jimmy Fallon with helium balloons. Just so funny. You gave so much to the world of film, theatre and the arts, Alan Rickman, you brilliant, brilliant man, we shall miss you. 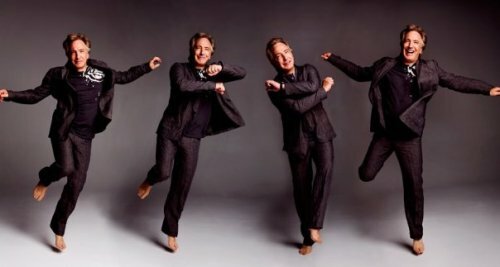 He was perfect for Snape. People create perceptions of actors based on the parts they played so it might surprise some people to learn that contrary to some of the sterner (or downright scary) characters he played, Alan was extremely kind, generous, self-deprecating and funny. And certain things obviously became even funnier when delivered in his unmistakable double-bass. As an actor, he was one of the first of the adults on Potter to treat me like a peer rather than a child. Working with him at such a formative age was incredibly important and I will carry the lessons he taught me for the rest of my life and career. Film sets and theatre stages are all far poorer for the loss of this great actor and man.﻿? I do love this man. I’m so sad we lost him so early. What a lovely, wonderful, tribute. Thank you Colleen, I’m just so sad. I can’t believe we lost Alan Rickman and David Bowie in the same week. This deadly disease we battle.. may someone out there give us hope. I could really use some hope. Just received devastating news about a family member. We are on edge, praying, until we know more. 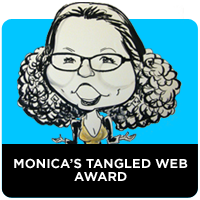 Thank you so much MM, I am reeling. As is my entire family. I appreciate it deeply. Oh love, I am so sorry.. This disease has such unimaginable power. Praying with you. Hello my darling, it is so lovely to hear from you, even briefly. You know, I’m thinking of you and the Penguins..
What a lovely tribute giving us great memories of him. The world has lost a great talent, but by remembering we keep the memory alive. Thank you San, I loved this man for his talent.